Brainy Dogs is a unique project. Prisoners at HMP Hollesley Bay, near Woodbridge, teenagers and adults whose lives have been affected by mental ill-health, exclusion from education and criminal behaviour gain work experience and learn new life skills by training rescue dogs to provide life-changing support and become companion dogs to adults with a brain injury or a neurological condition. After a brain injury or neurological condition people can experience a personality change which may result in them losing friends and family. The dogs fill the gap that this leaves. Click to read more about how we will help more people thanks to National Lottery funding received in September 2018. Some dogs live with our clients as pets. Others stay at the centre as pets to all who want to be involved. 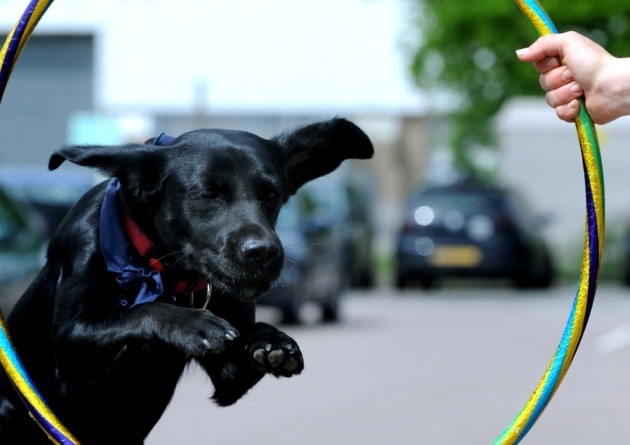 Clients can walk the dogs, groom them and feed them with support from the Brainy Dogs Coordinator. You can download the following four application forms and email them to Sophie, the Brainy Dogs Coordinator. Would you like a Brainy Dog? Contact us through the website. 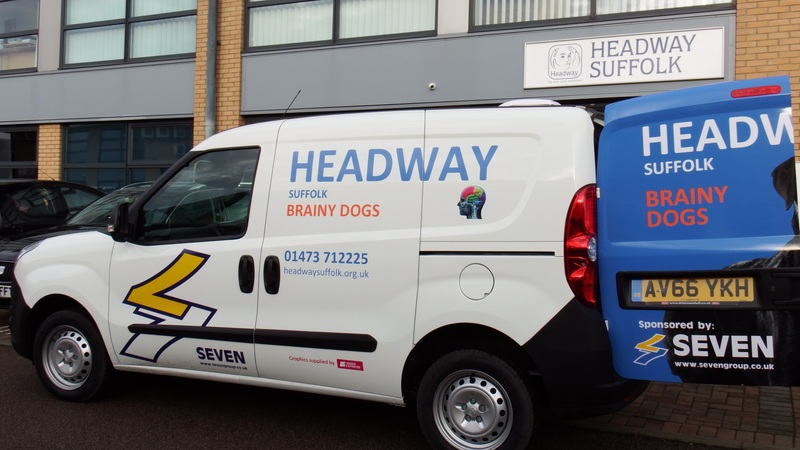 A new book telling the story of Hope – Headway Suffolk’s once unwanted Brainy Dog – through her own eyes has been released to help the project survive. 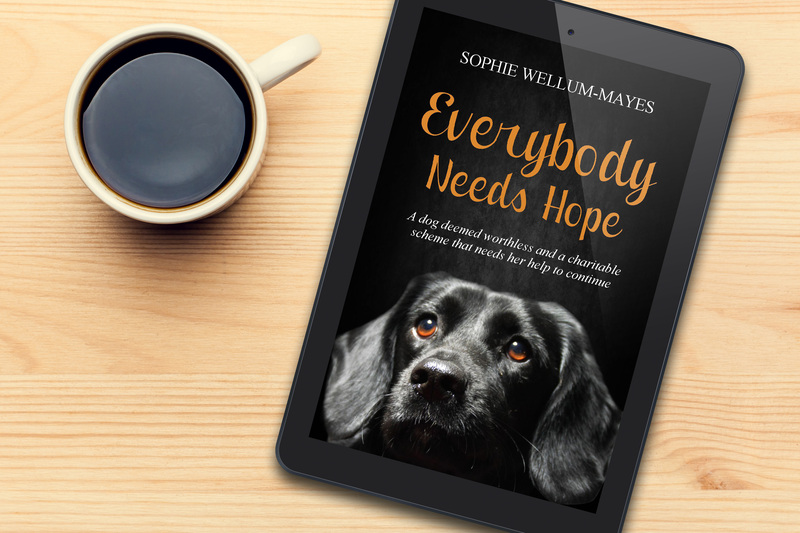 Everybody Needs Hope charts the life so far of five year-old Hope, a black Labrador crossed with a Cocker Spaniel, who provides therapy to adults with a brain injury or a neurological condition during rehabilitation sessions at the charity. Deemed unwanted and ‘good for nothing’ as a working breed by her owners, Hope was saved by the project’s co-ordinator Sophie Wellum-Mayes in 2012, who found her quiet and placid nature the ideal temperament to help clients in their recovery. 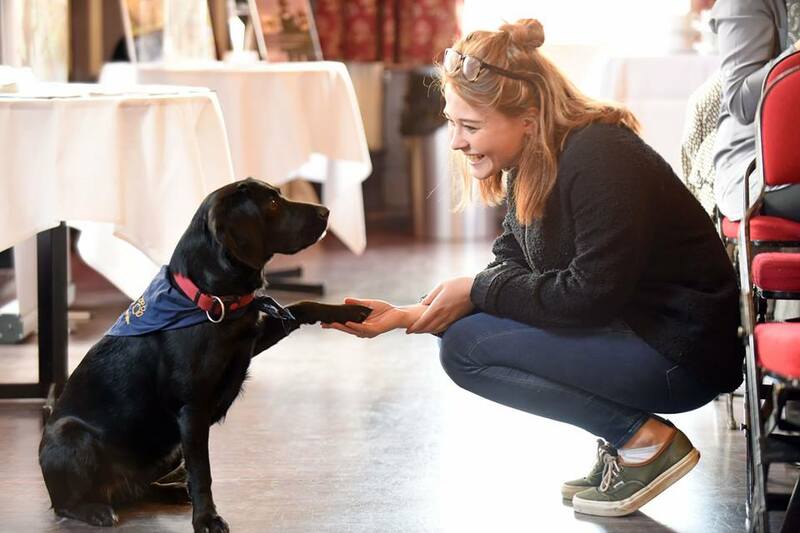 Hope has been integral to the success of Brainy Dogs, interacting with hundreds of clients and showcasing her skills over the years, as the project has gone from strength to strength. 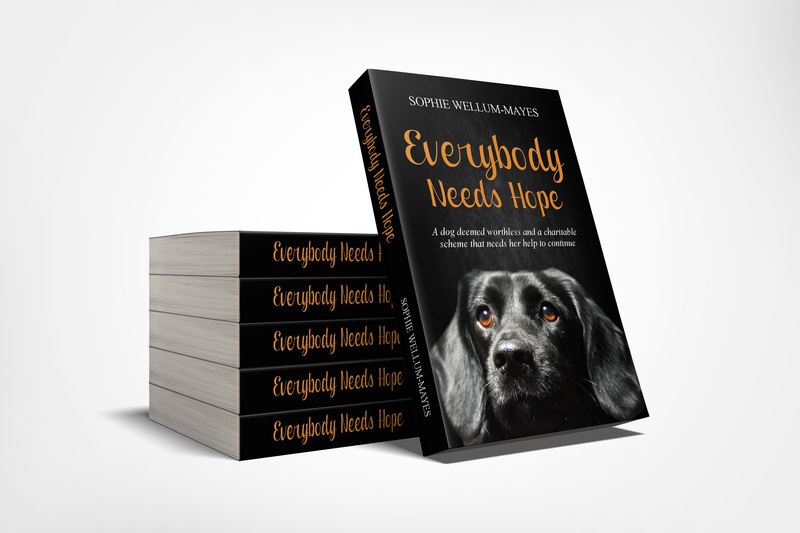 Everybody Needs Hope is available on kindle, priced at £3.76, and in paperback, priced at £8.99: www.amazon.co.uk/Everybody-needs-HOPE-worthless-charitable/dp/1721676309. Would you like to know what to do in an emergency with your pet? 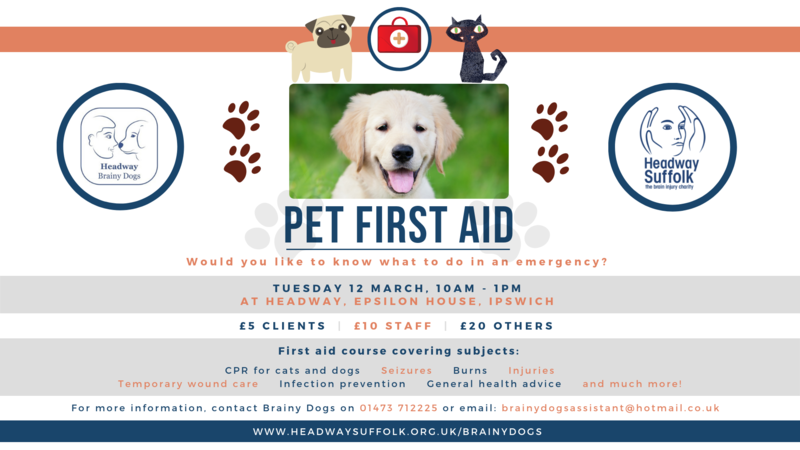 This first aid course covers CPR for cats and dogs, seizures, burns, injuries, temporary wound care, infection prevention, general health advice and much more! To book: Tel Ginette 01473 712225 or email: brainydogsassistant@hotmail.co.uk. 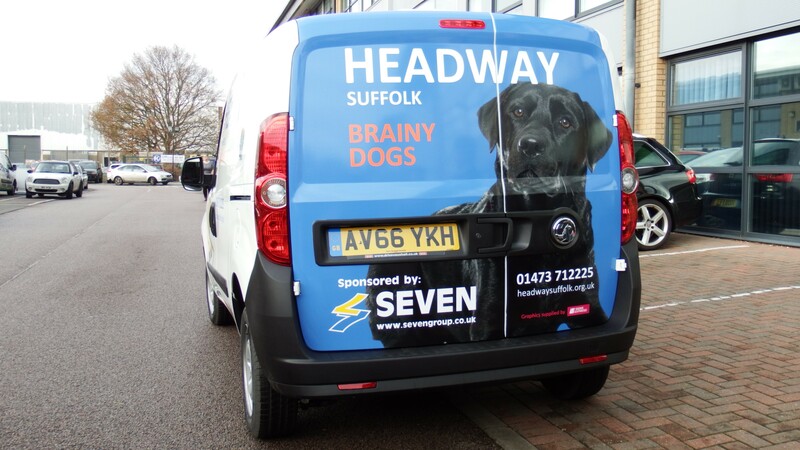 Our Brainy Dogs vehicle made possible thanks to Seven Asset and Petplan.